One of the most significant benefits we receive as Guild members is our listing in the FGNA practitioner directory. It’s not just something for us to use: it’s also available online so that the general public can find YOU. 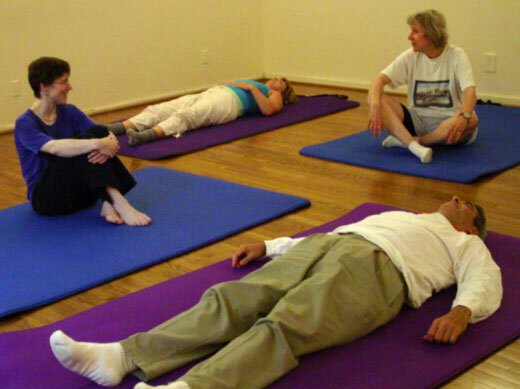 I get at least one phone call per month from someone who found me via the FGNA website, http://www.feldenkrais.com. It’s true: submitting your listings will take time. However, I remember reading in Miriam Levinson’s book (You Can Make A Living As A Feldenkrais Practitioner) that you should plan for marketing activities to take up about 30% of your time. I’ve found that this is a totally realitic figure, even though it shocked me initially. This means that if your work week is 36 hours, you are spending 12 hours a week on developing future business. Marketing activities certainly include submissions to online directories, printing fliers for your next workshop (oh, I need to do some of that today, too), following up with students, or having coffee with someone to talk about business. When I don’t invest time regularly in developing new business, my client load gets a lot thinner for awhile. It then takes 2 solid weeks of work to get things up and running again. When I DO invest the time in these activities, I am booked as tightly as I want to be. For me, that’s 15-20 clients a week, steady. Any website is valuable, or not, because of one thing: CONTENT. There has to be stuff up there, and new stuff on a regular basis, to draw visitors to it. When you post your classes on the Guild website, you make the site more valuable for the public, for all of us, and for YOU. Your comments are welcome! What else do you do to promote your classes? ← But it was just a tiny fire. . . Your blog is very helpful, MaryBeth. I am impressed by the way you are sharing from your own experience. 12 hours a week for practice-building–that sounds realistic, and like a worthy aim. Thanks.